its long-term goal of selling 800,000 cars a year. The new body shop will be used to manufacture the all new XC90 SUV, which will be launched later this year and go on sale in the first quarter of next year. The XC90 will be the first Volvo to use the company's new Scalable Product Architecture (SPA), a flexible system for making a range of models that improves design, economies of scale and safety, among other things. 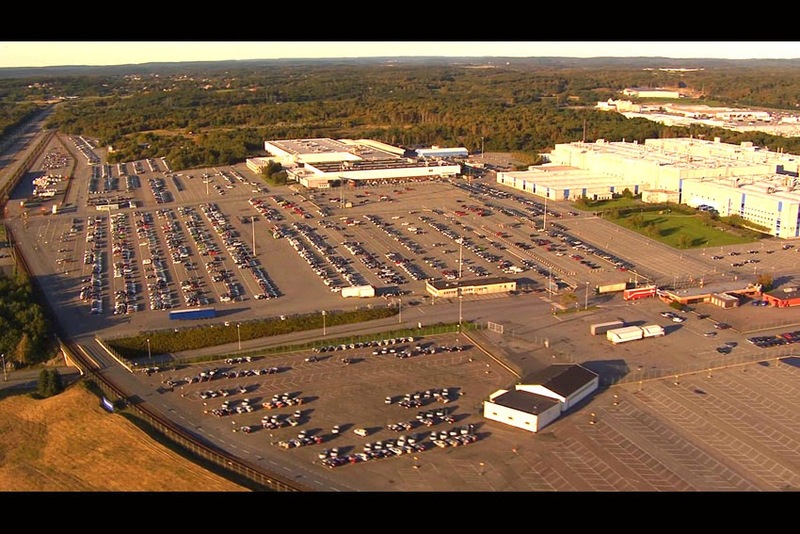 The new plant is being inaugurated on the same day that Volvo celebrates the 50th anniversary of its plant in Torslanda and forms part of Volvo's ongoing US$ 11-billion transformation plan, almost half of which is being spent on developing its new vehicle architecture and the development of its Drive-E engine range. "With the investment in a new body shop we are creating the potential to increase production capacity in Torslanda from today's approximately 200,000 cars annually to 300,000 cars," said Lars Wrebo, Senior Vice-President, Purchasing & Manufacturing. "This investment show very clearly that Volvo Cars believes in Sweden as production location and also the importance of having manufacturing close to research and development." Hakan Samuelsson, President & CEO, added, "It is particularly appropriate that we are today celebrating 50 years of car making in Torslanda at the same time as underlining our commitment to our future as a global car manufacturer by expanding our manufacturing capacity in Gothenburg." "What we are saying today is this: Torslanda is both our headquarters and our home." The new plant is one of the most modern in the world, not simply in terms of the technology it uses, but also the working practices it utilizes. On the technology front, the plant will use approximately 300 robots, but significantly it has reduced the level of automatisation on the production line in favour of increasing the manner in which robots and qualified workers operate together. Having fewer robots reduces investment costs and means floor space is utilized better. On the relationship between the robots and workers, the new plant will work with smaller teams of between five to eight people, rather than 15 or so in the rest of Torslanda. All the team members will work closely together and must be able to carry out fault tracing, corrections and maintenance. This has created a more flexible production process that is also able to reduce stoppage time and thus efficiency and production volumes. The new plant expects to employ around 80 new qualified workers.